It has been a rough year for Red Wings defenseman Mike Green. He missed the first three weeks of the season with a virus that was attacking his liver while also missing 13 games due to a lower-body injury. Unfortunately for Green, the virus is back which will cause him to miss the next seven-to-ten days, the team announced. Despite missing 22 games already, Green still leads Detroit in scoring from a defenseman with 26 points in 43 contests. The Red Wings won’t need to make a corresponding roster move to take Green’s place, however, as veteran blueliner Trevor Daley will suit up tonight against Colorado after missing the last two games with an upper-body injury. He has also had issues staying healthy this season and has only suited up in 38 of their 65 contests. Penguins defenseman Kris Letang skated with teammates for the first time since suffering an upper-body injury just over a week ago, reports Jonathan Bombulie of the Pittsburgh Tribune-Review. However, there remains no firm timetable for his return. Pittsburgh could certainly use their number one blueliner as they remain in a dogfight for a playoff spot in the tight Eastern Conference. Fortunately for them, they got one defender back tonight as Brian Dumoulin returned after missing the past three games with a concussion. 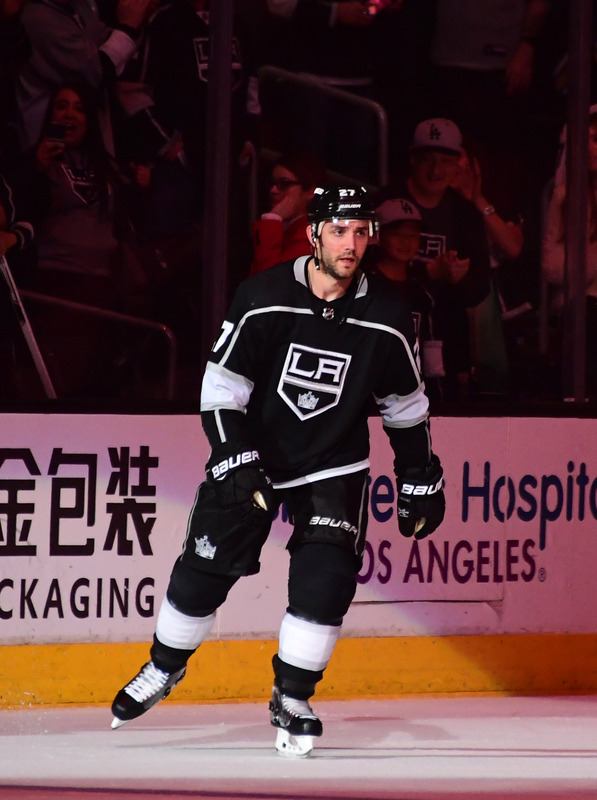 The Kings are expected to have defenseman Alec Martinez available tonight against Montreal, notes Jon Rosen of LA Kings Insider. He has been out for nearly three weeks due to an upper-body injury. Meanwhile, winger Austin Wagner is still listed as day-to-day but he’s unlikely to suit up on their current homestand which wraps up on Thursday night. 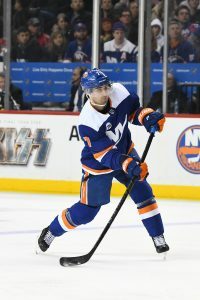 Just a few weeks ago, most people felt the New York Islanders would be sellers at the deadline as the team has a number of players ready to hit unrestricted free agency at the end of the season, including Jordan Eberle, Brock Nelson, Anders Lee, Valtteri Filppula as well as goaltender Robin Lehner. However, with a recent hot streak in which the team has gone 14-3 in their past 17 games dating back to Dec. 15, the New York Islanders suddenly have found themselves in first place in the Metropolitan Division and look like a team on the rise. Larry Brooks of the New York Post writes that while no one ever knows what Islanders’ general manager Lou Lamoriello is thinking, he wouldn’t be surprise if the team decides to become a buyer rather than a seller at the trade deadline. 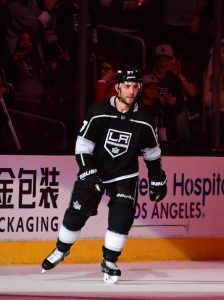 The team could make a move in order to bring in a rental forward like Ottawa’s Matt Duchene or Mark Stone or even add to their defense by going after Los Angeles’ Alec Martinez or Jake Muzzin, or possibly both. New York does have some tradeable assets as they have several young players trying to work their way onto the Islanders’ roster, including forwards Michael Dal Colle, Joshua Ho-Sang and Keifer Bellows as well as defenseman Sebastian Aho among others. And that doesn’t include top prospects that are currently playing for their junior teams. With many teams looking to get younger, the Islanders might have the right pieces to bring some of those players in as Lamoriello reshapes the roster to his design as the team currently has only a few players locked up to long-term deals. While Brooks is guessing on what Lamoriello might target for his team, the scribe adds that moves may come soon as Lamoriello is well known for making deals well before the deadline. The Los Angeles Kings have had a season to forget in 2018-19, sitting last in the entire NHL with just 40 points in their first 47 games. A lot of that failure is due to a lack of scoring as the Kings have only recorded 107 goals in those games, meaning any pieces they sell off at the deadline could very well come from the blue line instead. Of the available players, Jake Muzzin and Alec Martinez stand out as potential top-four options that the team could give away to the highest bidder. We learned earlier this month that Martinez could likely be had for a second-round pick and a good prospect, but it wasn’t clear exactly what the Kings were after in exchange for Muzzin outside of a first-round pick. Pierre LeBrun of The Athletic (subscription required) now reports that the Kings are in “listening mode” on Muzzin and that the asking price is that first-round pick and an additional prospect. LeBrun is quick to point out that the Kings don’t have to move Muzzin, as he’s on a good contract for next season at just $4MM and has put together a successful season. Still, for teams looking for an upgrade on defense there certainly seems to be a deal to be made in Los Angeles. The idea of adding even both of Martinez and Muzzin for a couple of draft picks and two prospects seems more than reasonable, especially considering that the duo only cost $8MM combined for next season (Martinez’ deal extends through 2020-21). It’s also important to note that neither has any trade protection, and can’t stop the team from dealing them. Muzzin especially is a bargain at his $4MM cap hit. The 29-year old is logging more than 21 minutes once again for the Kings and comes in right behind Drew Doughty in scoring from the blue line with 20 points on the year. He leads in both blocked shots (85) and hits (108) while regularly contributing on both the powerplay and penalty kill. That kind of versatility and impact is incredibly difficult to find in today’s game, meaning there will be plenty of interest in Muzzin when the deadline rolls around. The Los Angeles Kings will have one of their normal defenders back on the ice tonight after a month absence, one that very well could be moved before the February trade deadline. Alec Martinez has been activated from injured reserve and will play in his first game since December 8th while his name is continually bandied about in trade speculation. Martinez, 31, has 11 points in 30 games this season has proved over the years to be one of the most reliable defenders in Los Angeles. That reliability is extremely attractive when paired with a reasonable $4MM cap hit for the next two seasons, and should draw plenty of interest over the next six weeks. Craig Custance of The Athletic (subscription required) recently listed Martinez on his trade bait board, reporting that the expected asking price for Martinez is a second-round pick and a good prospect. The Kings are heading into a quick retool mode and need to get some youth and speed into the lineup, including opening up some minutes on the back end. Eating up those tough minutes is what Martinez is known for, once again being a part of the Kings penalty killing group and starting a good amount of his shifts in the defensive end. To get any sort of return at the deadline though, Martinez will need to prove he’s healthy enough to contribute down the stretch and get back to logging 20+ minutes a game, a threshold he had failed to crack for the four games before being taken out of the lineup due to injury. Any team willing to part with a good prospect and high draft pick will be expecting top-four contributions, something he’ll have to prove he can still provide. The NHL trade season is upon us with only seven weeks until the deadline and teams falling out of the playoff race. With that, Craig Custance of The Athletic (subscription required) broke down his list of 20 players who could be on the move before February 25th. At the top of the list is Artemi Panarin, who is still without a contract extension as we head into the second half of the season. The Columbus Blue Jackets are trying to make a deep Stanley Cup run and have perhaps the toughest decisions in the league with Panarin and Sergei Bobrovsky set to hit unrestricted free agency. Deeper down the list though Custance provides some details on asking prices, explaining that a deal to acquire Jake Muzzin from the Los Angeles Kings would need to start with a first-round pick while Alec Martinez might cost just a second-round pick and a good prospect. The Kings still sit at the bottom of the Pacific Division and are the only NHL team to have scored fewer than 100 goals this season. There are changes coming for Los Angeles, but in a “strong buyers market” it will be interesting to see how much they really get back for some of their trade assets. Last week’s Three Stars have been revealed by the NHL, with Johnny Gaudreau taking home the top honors. Gaudreau recorded 11 points in four games and has led the Calgary Flames all season. Brent Burns takes home the second star, but most interesting might be Robin Lehner in the third position. Lehner looked to be on the brink of losing his NHL career when he went unqualified by the Buffalo Sabres, but has turned things around dramatically this season with the New York Islanders. With a .927 save percentage there is good reason to believe that Lehner could be one of the top goaltending options on the market this summer after his one-year deal expires, unless the Islanders can lock him up over the next few months. Noah Dobson might be best known to many hockey fans for his stick exploding in overtime for Canada in the recent World Junior Championship, but he’s also a dominant defenseman and leader in the QMJHL. The Islanders prospect is on the move thanks to a junior deadline deal that will send him to the Rouyn-Noranda Huskies for the remainder of the season. The Huskies sent three first-round picks and a second-round pick for the right to acquire Dobson, who will give them another huge weapon on their quest for a Memorial Cup berth. The trade deadline for the OHL and WHL meanwhile passes on Thursday, meaning many more top prospects will be on the move.